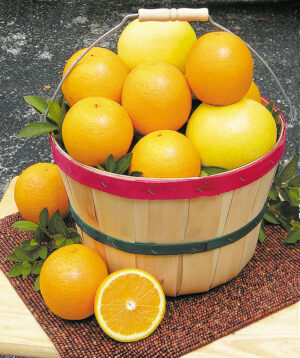 Our famous Indian River citrus arrives in a cute old-fashioned Peck Basket. What could be more charming? Choose from all Oranges, all Red Grapefruit, or a delicious Orange/Grapefruit combo. We will send our best of season Oranges and Grapefruit.